The goal of EyePrintPro™ is, to provide the best possible vision and therefore a better quality of life to people who are currently without alternative solution to correct their corneal irregularity / disease. For which cases is EyePrintPro™ appropriate? 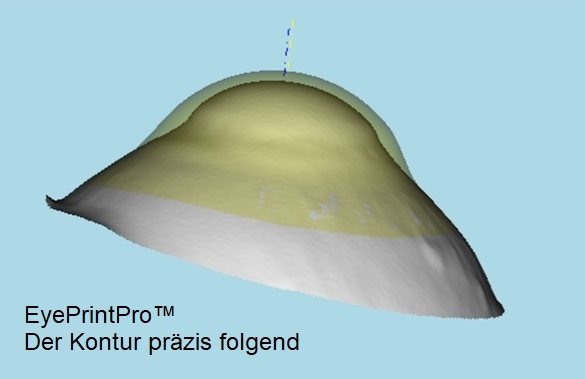 What distinguishes EyePrintPro™ from conventional contact lenses and scleral lenses? 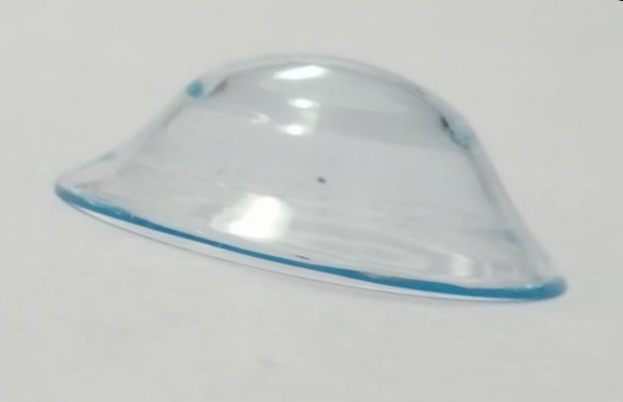 The EyePrintPro™ scleral lens is unique for each eye, like a fingerprint. This is the most important among the new and vital achievements to provide improved patient satisfaction. We start with the EyePrint impression procedure, which takes just a few minutes and records the exact curvatures of the entire ocular surface. This comfortable and gentle procedure provides more information than high-tech computer topography scanners and gives us, as certified specialists, the opportunity to precisely detect complex irregularities of the ocular surface. 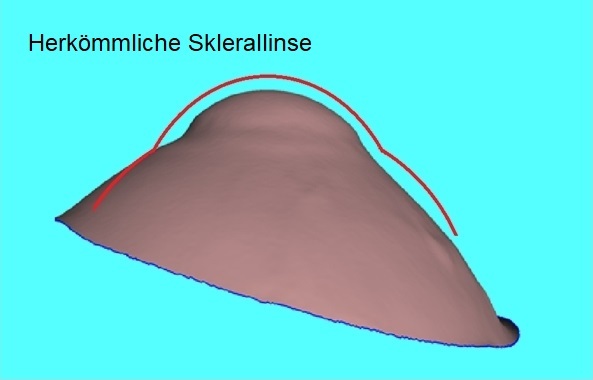 The EyePrint process provides details about the eye surface that have never been captured before. The production of EyePrintPro™ is so precise that these details are important. No guessing is necessary and there isno misjudgement. The concerned person gets exactly what he/she needs. The EyePrint impression is sent to EyePrint Prosthetics LLC for digitizing and designing the EyePrintPro™ scleral lens. The latest technology in 3D scanning and CNC-controlled processing systems allows accurate alignment to each cornea and sclera. The EyePrintPro™ is made of a highly oxygen-permeable material with high-quality optics, therefore the wearers of EyePrintPro™ receive a maximum of comfort and vision as well as minimized metabolic burden to the Cornea.